Camping is one of those things that everyone must experience at some of the other points of time in their life. There is a different kind of adventure that one can seek when they go out camping, which can be exhilarating and exciting. Be it a camping trip with your friends and family, or even a solo adventure, camping is one of the best ways to connect with yourself and the great outdoors. While all of this may seem exciting, because of the unpredictable nature of camping trips, it is always best to stay prepared for every possible scenario that one might be in. Even though there is minimal scope for things to go wrong, there are still pointers that one must keep in mind before they set out for the great outdoors. We have compiled a list of eleven tips to get you set for your trip, and out camping like a pro! The camping site that you pick is an essential aspect and can shape up your entire trip. Registered camping spots are good because you know that the surroundings are somewhat favorable for campers. Camping sites, more importantly, have reviews that are written by people who have visited the place, which offers a good insight into what to expect from the location that you pick. Even though the prospect of venturing out into the woods and picking out a nice cozy spot for yourself is something that seems appealing, if you are a novice camper, it is best not to go down that route. Unless you are already a pro camper of course. Choosing a spot on the day you set out might take away from you finding the best places to set up in, and might give you somewhat unexpected occurrences that no one wants on their trip. The kind of tent that you pick when you are going camping is an essential aspect that people tend to forget. The surrounding environment plays a significant factor in this, and hence it becomes necessary to choose shelter according to that. For example, a person who is going camping in a colder climate would need a tent that keeps them warm, whereas someone going camping in a hot tropical area would need something that is airier and one which allows a lot more ventilation. 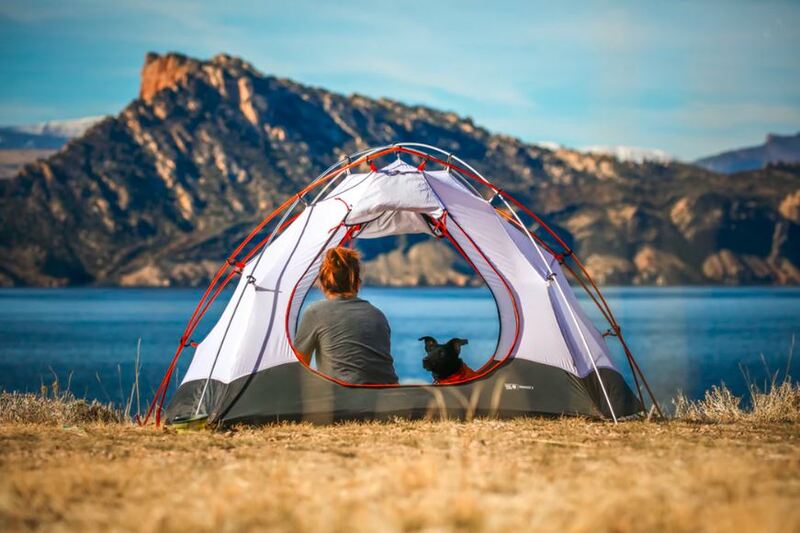 Sites that sell tents online usually have options for different kinds of climate, so pick one according to what you need. A good tip is to check the kind of weather that you might experience when you are out camping in a particular area. If you already have a tent and don’t want to rent or buy a new one, pick a location in which that tent would fit its utility perfectly. If you are on the market for a tent, go the other way around and choose one according to the climate. One thing that pro campers always do before they embark on their journeys is made a meal plan. Remember, that while you are out camping, you have a lot fewer resources to work with and hence might not be able to cook extravagant things like you generally would. Be realistic when it comes to making your meal plan, but that does not mean that you can’t have the things that you like. Make a list of the things that you would need for your food and buy them a few days before your trip. Perishable goods are not advised unless you have a more relaxed to carry along with you. If you are backpacking, choose eatables that can handle not being refrigerated. Dehydrated and ready to cook meals are the best option, but might not necessarily be the healthiest. Things like dehydrated milk are a good option, especially if you can’t get through the day without your morning coffee. Flavor packets are also a lifesaver since you can mix up the flavors that you use and the meals that you make even if you are using the same base ingredients. Camping does require a lot of physical activity, and hence it is important to stay nourished and hydrated to prevent you from getting weak. Whatever you are eating, be sure to choose something that is nourishing and gives you the right amount of nutrients that you would need to get through the day. Preparing things that need to be made when you are on the campsite is an excellent way to save time and also the effort of doing it in the outdoors. This can be in the case of the food you eat and even the items that you need to supplement your stay. Preparing meals at home and merely reheating them while you are on your trip is a good option if you want to make something that requires a lot more than open fire. However, care must be taken to preserve the meals correctly, lest they go bad leaving you with nothing to eat, or worse, an upset stomach on your trip. If you want to make something like a makeshift stove to cook your meals on the trip, prepare the base structure at home and carry it along with you. There are lots of tutorials and videos on how to make makeshift stoves and other camping items on the internet that can make your trip a lot easier to manage. Staying hydrated on a camping trip is essential, and is something that people need to pay attention to. Being dehydrated on your trip can leave you feeling a lot more tired, which means you probably won’t be able to do all the fun things on your journey. Be sure to pack plenty of water, and a little extra of course and make sure to stay hydrated. Keep an alarm on your phone or watch to continually remind you and the people around you to drink water to prevent anything unfortunate from happening. If you are going camping near a freshwater spring or a lake, then you can drink from there as well, but be sure to check if it is safe to do so before your trip. Even if the water around you and your campsite are deemed to be fit for drinking, a good tip is to carry along a portable filtration system and drink that instead of straight out of the pond. Mobile filtration systems are easy to get and can be bought through most major online marketplaces. Some filtration systems now also come in the form of water bottles, making them extremely easy for even the little ones to carry around. A campfire is a must for everyone who wants to have a good time out in the wild and is an essential part of a camping experience. There are several ways to build a campfire, right from ignition materials to go the old route of using dried logs and leaves. Whatever your preference, be sure to carry what you would need or pick it up earlier during the day when you reach your campsite so that you don’t have to go searching in the woods when the dark starts to set in. Fire is also essential for cooking if you are going the traditional route and making your meals, for which coal is the best option. Coal can be stored pretty quickly and is a useful utility when it comes to the process of cooking, making this the ideal camping cookout companion. Ice is also something important that needs to be taken into consideration, but only if you are carrying perishable goods that need to stay cool. A cooler can serve well for this purpose but would need to be carried around, which is why it isn’t ideal for backpackers. If you have a vehicle to drive around in, then carrying a cooler is good not only for perishable food but to keep drinks cool as well. Invest in a few big blocks of ice since those melt slower than several small cubes. A good tip is to sprinkle some salt on the ice before you put your products in, which helps the ice stay cold for longer, and prevents it from melting too quickly. This tip is especially essential if you are going camping with kids or with larger groups of people. There are lots of things that one can do in the great outdoors, so many, that it is possible to get overwhelmed while picking what to do. Sit down a few days before your trip and jot down a few activities that you would preferably like to indulge in. Some activities that you may want to do would require you to carry along some equipment. For example, if you’re going to go kayaking and do not know a place close to the camping ground that rents out kayaks, you may have to bring one on your own. While planning, choose activities that require you to carry things that you may already have or don’t mind renting. If you are unsure of whether or not you will be able to acquire these things but still want to do them, keep them in a separate list so that if you can’t do it, you always have a backup plan in mind. If you are visiting a popular camping ground, check the area and see if there are any activities that they offer or what people usually do at these places to get a better idea of what you can partake in. When going camping, you need to carry a lot of things to be sufficient while on the trip. There are several things to keep track of, and it becomes easy to forget things. However, sometimes, that can be pretty disastrous, especially if you forget something essential like your flashlights or your cooking oil. A good way to ensure that you don’t forget anything when you are on your trip is to make a thorough list of all the things you need to pack. A good tip is to carry just a little bit more, in the case of an emergency. If you are carrying five sets of clothes, carry six just in case. If you are carrying food for three days, pack enough for four so that there is enough to go around. While doing this, keep in mind not to overpack, since that can be an additional burden in itself, especially if you are backpacking your way through the wilderness to get to your ideal camping spot. Make sure that you have things like flashlights, utensils for cooking, bug repellents and of course all your sleeping necessities. Camping is one of the best ways to enjoy a pleasant vacation while being on a budget. Camping is inexpensive, which is why it is ideal for even those college students who want to get away without blowing up all of their semester money! Even though it is budget friendly, it does not mean that you can’t indulge in a few niceties if you want to, and have space in your budget for it. If you can, invest in a good sleeping bag and camping gear, which will serve you in the future as well if you plan to go camping again. After all, camping is a time to enjoy yourselves and be comfortable in the midst of all of the beauty of nature. This happens all too often for it to not be on this list. A group of first-time campers go out in the wild, try to pitch up to their tent, and fail countless times until they figure it out hours later, or have to do something else to safeguard themselves for the night. For this, the internet is your friend and can help you figure out how to pitch your tent. Before you go on your trip, do a practice run in your backyard and see if you can do it right, or close to the right at the very least. Different tent models have different ways of pitching, so be sure to check your model number or product name before searching on how to set it up online. If you are yet to rent out a tent or buy one, there are good tents that are designed for novice campers that are extremely easy to use. These tents usually have a set frame and require just a few steps to set up properly. In this case, all you would need is the instruction manual, and you are good to go. Things are relatively unpredictable out in the wild, and there is a possibility that things can go in a different direction than what one would expect. Prepare a backup plan in case things change, and you would need to incorporate something else. For example, if you are planning to go on a trail and it starts pouring, have a backup plan of what you can do to spend your time in this situation. Even when it comes to food, having a backup plan is essential. Carry a few backup ingredients or food products that one can have even without a fire in case you are unable to create a fire. Weather is one of the most unsteady factors in the great outdoors, and one must always carry gear that helps protect them from adverse conditions. Carrying rain gear on a camping trip is essential, especially if you are going on a trip in a more tropical or rain prone area. Similarly, if the area that you are going to may have a case of chilly nights, carry a few warm clothes so that you don’t freeze over and have an uncomfortable experience. Implementing these tips can set you on your path to becoming a pro camper, or at least, experiencing the outdoors like one. There are of course a lot more things that one can do to amplify the experience, but for the very basics, this is all that you will need to have a good time.